Although research originally focused on eye health, this powerful carotenoid is making waves in the nutrition world as an antioxidant superstar, and has protective effects against a whole range of chronic diseases. 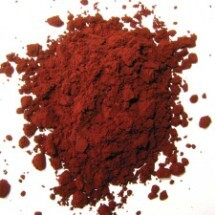 It is a red-orange pigmented carotenoid (similar to beta carotene) which is extracted fish, algae, and shellfish. Carotenoids are potent antioxidants, and it's antioxidant activity is the highest of all the carotenoids. Research shows that it has the unusual property among top antioxidants of being able to neutralize free radicals on both the inside and outside of cell membranes. This is the key to it's wide ranging ability to fight inflammation all over the body. The list of it's potential benefits keeps growing and even the pharmaceutical industry has taken notice of this natural antioxidant and is currently attempting to create a synthetic drug version to compete with it. Research shows protective effects against cataracts and macular degeneration due to it's powerful free radical scavenging effects. It also inhibits pro-inflammatory cytokines that cause retinal damage. It increases circulation to the retina, reduces eye fatigue, and improves the ability of the eye to focus. Research shows enhanced immune response in test subjects. It has immune modulating properties and also reduces autoimmune reactions, leading to less inflammation and pain. It can also protect skin from the effects of ultraviolet light form sun exposure. It prevents oxidative damage to skin cells thus helping to prevent the lines and wrinkles typical to sun exposure. Research shows no reported side effects or toxicity from dosages of 4mg (milligrams) all the way up to 40mg per day. Your antiaging doctor or nutritionist can help you integrate this amazing natural antioxidant into your nutritional supplement protocol. You will be hearing much more about Astaxanthin in the near future, as perhaps even more health benefits for this amazing nutrient are revealed. What is astaxanthin? Consider it another weapon in your antiaging arsenal, that will help you put the ravages of aging on hold!